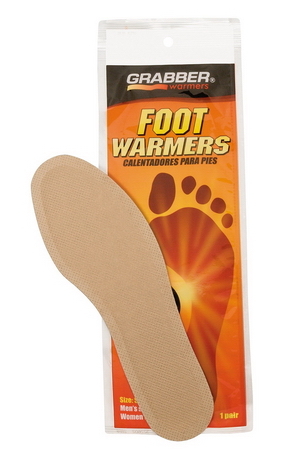 Grabber's foot warmer heat pack is ideal for warming your whole foot when the chill is to the bone. Especially handy for spectators, hunters and hikers. Caution: Not for use directly against bare feet or with open shoes by people with diabetes or circulatory problems, bruising, swelling, infected areas, frostbite, open wounds or sensitive skin without first consulting a podiatrist or physician before use.